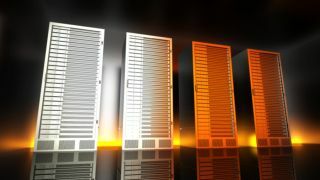 Server virtualisation is increasingly offering small businesses in particular a platform they can use to reduce costs and vastly improve the efficiency of their operations. Indeed, Forrester Research reckons that over a third of all small enterprises are deploying some form of virtualisation with their servers. A shift to virtualisation can provide a business with a number of clear advantages – the overriding one being an impressive return on the investment. The ROI of virtualisation has a number of components that include the consolidation of hardware. If a business is running single applications on a single server, it can lead to 'server sprawl' as new applications are added, which can undermine the efficiency of a business. As a business expands and requires new application deployments, these can be set up quickly with a virtual machine. Virtualisation also offers a robust and easily managed data backup and recovery system, helping to provide the data that is the lifeblood of any business. In addition, IT managers can manage data security more easily in a virtualised environment, as this is based on a number of virtual machine deployments for which the security protocols can be upgraded when needed. It is important to get the management of virtual servers right, Microsoft Windows Server 2012 offers easy management of these hybrid approaches to IT. Coupled with the new servers from vendors like Dell, it can provide a powerful and flexible virtualisation environment for a business. One of the most important aspects of Microsoft Windows Server 2012 is that it reflects how virtualisation has changed over the last few years. Your business may use a combination of on-site servers, private clouds and public cloud storage. Dell's OpenManage perfectly complements the new management systems built into the software. A Dell white paper on the subject says that small businesses need virtualisation, and that its 12th generation servers combine effectively with Microsoft's Windows Server 2012. "Virtualisation is no longer a strategy for the future. Virtualisation projects are well underway at small and midsized businesses (SMBs), and every intention is demonstrated to push virtualisation further to realize fully the benefits of server consolidation. "Those, however, are merely the first set of savings gained through virtualisation. When virtualisation investments are leveraged for private, and then hybrid cloud strategies, SMBs save even more on resource pooling and provisioning, management automation, security, and scalability."